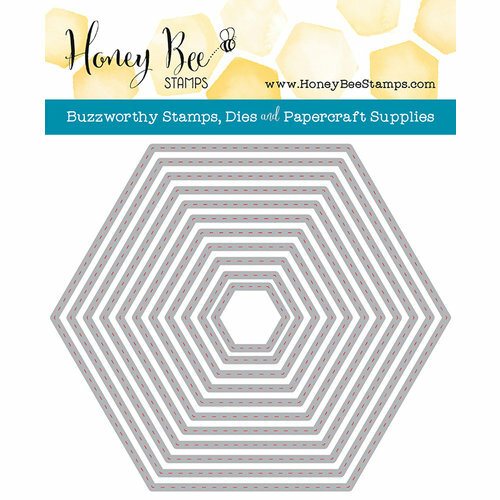 You will have hours of fun creating custom projects with the Hexagon Stitched Stack Steel Craft Die Set from the Honey Cuts Collection by Honey Bee Stamps. 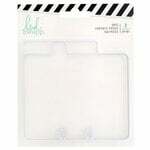 These thin metal dies are compatible with most die cutting machines sold separately. The set includes 11 dies; the smallest die measures 1.07" x .92" and the largest measures 5.91" x 5.12". Please Note: These dies do not cut a solid Hexagon shape (our Hexagon Solid Stack cuts the actual hexagons). These dies only cut stitching lines for adding adorable details! 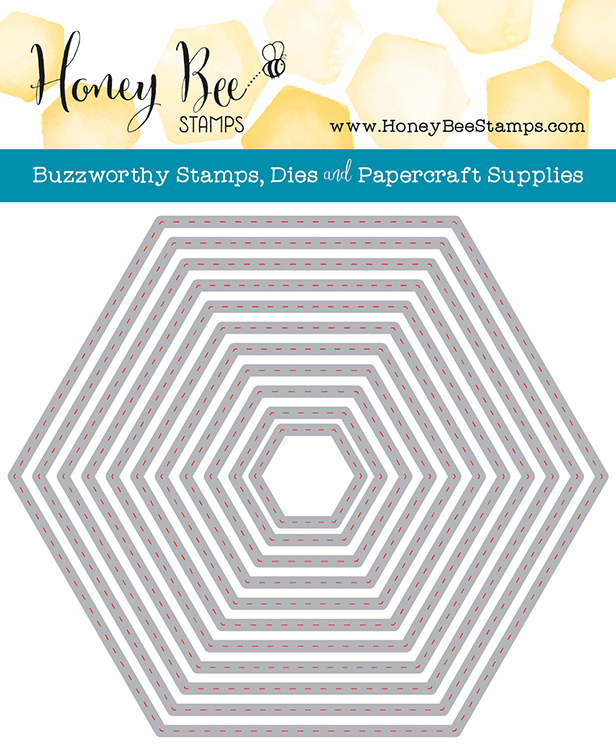 Use in conjunction with our Hexagon Solid Stack to create frames with stitching details - or use alone to give your backgrounds a special stitched effect. The shape gives your project a little pop. I did an experiment and did the same card except i made one with circles and one using this die, then ask which one was the best. Out of 32 folks 29 picked the hexagon shape. I am glad that I bought them. I wanted something a little further apart to use for backgrounds and put closely together. Can anybody tell me if they've had luck getting these dies to cut hexagons? Mine don't seem to have a cutting edge beyond the stitches, so I don't get hexagons no matter how much I fiddle with my die machine stack. By: User (10-Aug-17) Helpful Question? Yes | No Thank you! Report Inappropriate This question has been reported. Thank you! 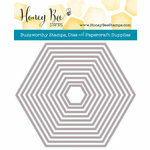 Occording to honey bee stamp website: Please Note: These dies do not cut a solid Hexagon shape (our Hexagon Solid Stack cuts the actual hexagons). These dies only cut stitching lines for adding adorable details! 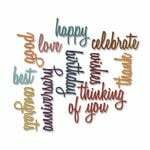 Use in conjunction with our Hexagon Solid Stack to create frames with stitching details - or use alone to give your backgrounds a special stitched effect. By: taseitz (12-Aug-17) Helpful Answer? Yes | No Thank you! Report Inappropriate This Answer has been reported. Thank you! I found out after I purchased these, but these are NOT cutting dies! (I wish they mentioned that in the description of the item when I purchased it.) These particular dies will only make the stitch lines, but they will not cut. If you look at the dies closely, you will see what I mean because there is no cut line, only the stitching lines. I think they work with the regular hexagon die stack, but I haven't tried it out to see if they fit together or not. Hope that helped answer your question! By: parz (11-Aug-17) Helpful Answer? Yes | No Thank you! Report Inappropriate This Answer has been reported. Thank you!